An Arkansas beekeeper is being featured in a national drive for Americans to know who their honey comes from. 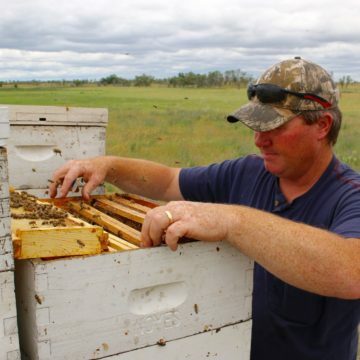 Amongst its 270 members, Sioux Honey Association Co-op selected David Coy of Jonesboro to be a face of the “Who Does Your Honey Come From” campaign, which started December 17, 2018. Beyond introducing local beekeepers through the campaign, the co-op is advocating for consumers to look at the label when buying honey, know who and where it comes from, and keep an eye out for the “Grade A” and “Product of the U.S.A.” designations. 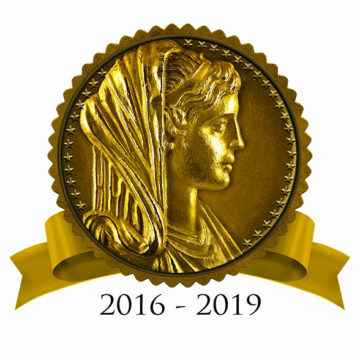 “Grade A” is the highest grade awarded by the UDSA and “Product of the U.S.A.” is a guarantee of the country of origin. Combined, the labels confirm honey is pure, with nothing added, and of the highest quality, according to Buhmann. Coy appears at the end of the nationwide ad which highlights the challenges of beekeeping and the persevering nature of America’s beekeepers. “Now, there are days when I ask, ‘Why am I doing this?’ The days when you get stung a lot. But those times don’t last,” said Coy. Along with his parents and brother, Richard, David Coy runs Coy’s Honey Farm. The business was established in 1969 by David’s father, Bobby, who began the venture as a hobby. The business has grown to 12,000 hives and 20 full-time employees, and has collected around 1.1 million pounds of honey each year over the past 10 seasons. 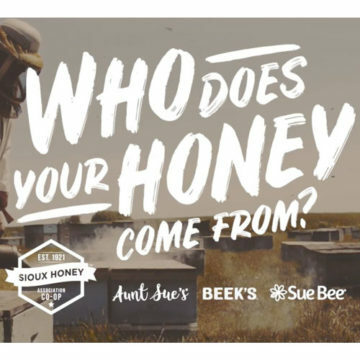 As a co-op, not a corporation, Sioux Honey Association was formed to operate based on what’s best for its beekeepers, its honey and its customers. Established in Sioux City, Iowa, in 1921, the co-op distributes pure, “Product of the U.S.A.,” Grade A honey to retailers nationwide on behalf of its 270 independent beekeeper members. From classic Sue Bee to unfiltered Aunt Sue’s, the co-op has a honey for every preference and use.